Some Kind of Star Trek: Star Trek: The Official Starships Collection - Additional! 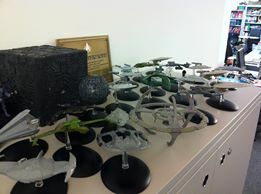 Star Trek: The Official Starships Collection - Additional! Not only has a great little snap been posted onto their Facebook page showing some of the prototypes of the upcoming vessels (how many can you spot and name). While the majority are from the first 30 issues there's one near the front that might peak your interest. It's brown and circular; that's all I'm saying. There's also a nice little survey for you to complete about the new EagleMoss production and why should this be so interesting? Well because as you go through it one question raises a Vulcan-esque eyebrow. So what else could there be? I for one would love to see Starbase One, Regula One or maybe even something from The Animated Series as a special. 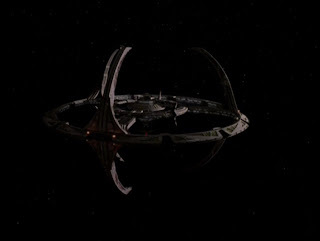 I was a bit disappointed that Deep Space Nine might have been overlooked as it wasn't a starship but this new announcement more than makes up for that! Could this also indicate the potential to get the Star Trek Online Enterprise-F into the range? How about a battle-damaged movie-era USS Enterprise special edition? There could be some great extras to come. Thanks also to +Aaron Darkwood who pointed me at this page from the Star Trek Starships website which shows the running order of the first 30 issues - interesting to note that there are subtle differences between the list we previously announced and these images. The Jem'Hadar bug for example is switched with the Nausicaan fighter and then totally replaced by the Romulan Valdore from Star Trek Nemesis. 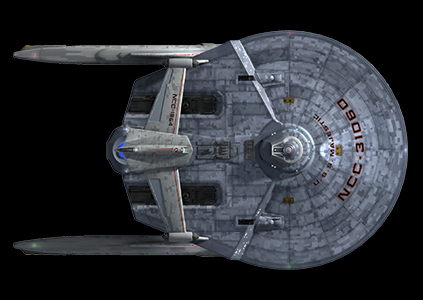 A second note is that the USS Reliant is marked up as the USS Majestic from Sacrifice of Angels. 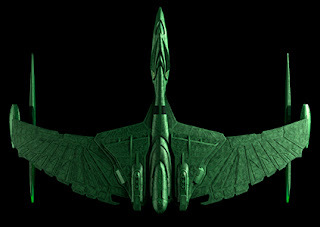 Also worth pointing out that the Romulan Bird-of-Prey is the Star Trek: Enterprise version and not the one seen in Balance of Terror during The Original Series. Not what I would have expected but no doubt it'll be along later. On that note, here's five that I'm wondering how long we'll be waiting for as part of the standard releases - you're welcome to add to this selection as a comment or suggest some more for the special editions above. Also don't forget that issue two is out this week and features the movie USS Enterprise. Further information about the The Official Starships Collection can be found at the publication website.